Nickel Alloy ASTM B564 200 Threaded Flanges, Werkstoff No 2.4066 Nickel Socket Weld Flanges, 201 Alloy Lapped joint Flanges, ANSI B16.5, ANSI B16.47, B16.48, BS4504, BS 10, EN-1092 Nickel 200 Forged Flanges, Manufacturer Of ASTM B564 201 Alloy Plate Flange in Mumbai, India. Best Price of 200 Nickel WNRF Flanges Exporter, Nickel Alloy UNS N02200 Industrial Flanges, Stockholder Of Nickel Alloy 201 RTJ Flange, ASME SB564M Nickel Alloy 200 Class 300 Flange Wholesaler, Nickel DIN 2.4068 Flat Flange, 200 Nickel Alloy EN 1092-1 Flanges Traders in India. Nickel Alloy Flanges, Nickel Alloy UNS N02201 Flange, Stockist of Nickel Alloy 200 Slip On Flanges, ANSI B16.5 Nickel 200 Orifice Flanges, 201 Nickel Alloy Pipe Flanges, 200 High Nickel Alloy Blind Flanges Dealer in India, Global Supplier of Ni Alloy 201 Weld Neck Flange, BS10 Table D, Table E, DIN Standard Flanges. As a leading manufacturer, supplier and stockist of Nickel Flanges, Neo Impex Stainless Pvt. Ltd. is making its way to the top in the national and international market. It adheres to all the standards put forth by them. ASTM B564 Nickel Alloy Flanges are used in condensers, heat exchangers, power generation, pharmaceutical equipment, etc. 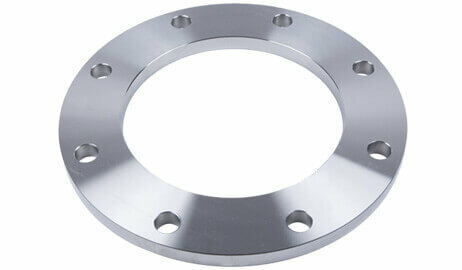 ASME SB 564 Nickel Alloy 200 Pipe Flanges are used with a Lap Joint flange, as a backing flange. Nickel Alloy UNS N02200 Blind Flanges are the most highly stressed flanges. It is used in valves and pressure opening vessels. 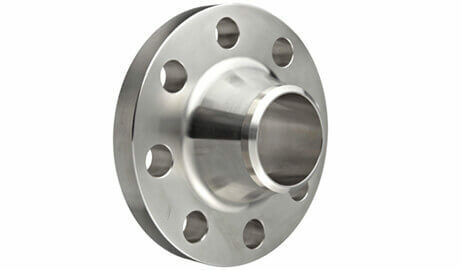 ASTM B564 Nickel Alloy UNS N02201 Weld Neck Flanges are easy to recognise due to their long tapered hub. It is suitable to be used in hostile environments with extreme temperatures. 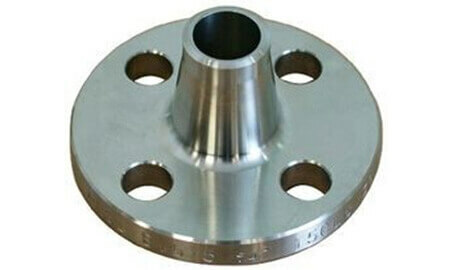 Nickel Alloy DIN 2.4066 Slip on Flanges has great thermal stability. Neo Impex Stainless Pvt. Ltd uses high-quality products and offers them at competitive prices to its customers in order to satisfy their specific needs. This vast range of Nickel Flanges is made available by Neo Impex Stainless Pvt. Ltd. for the convenience of its clients. Also We offer wide range of Nickel Alloy ASTM B564 200 Flanges such as Nickel Alloy 200 Slip On Flanges, Nickel Alloy 201 Weld Neck Flanges, Nickel 200 Socket Weld Flanges, 201 Nickel Alloy Blind Flanges, Alloy 200 Orifice Flanges, Nickel 201 Spectacle Blind Flanges, Alloy 200 Screwed / Threaded Flanges, Nickel Alloy 200 Reducing Flanges, Alloy 201 Ring Type Joint Flanges (RTJ) etc. A Wide Range Of the Best Quality 200 / 201 Nickel Alloy Flanges, nickel flanges specifications, nickel 200 flange price list, nickel 201 flange price, nickel alloy 200 flange dimensions, 201 alloy threaded pipe flange, ansi class 150 nickel 200 flange pressure rating, ASME/ ANSI, EN, DIN, AFNOR, AWWA, GOST, BS, JIS, AS, MSS, SA, UNI 200 nickel Flanges, Ring Spacers, nickel 201 Weldoflange, Bleed Ring, 201 alloy flange class 150, nickel 201 flanges dimensions, BS 10 Flanges Manufacturer, Supplier in India. We are renowned & most acclaimed Source, Stock, Distribution, Manufacturer, Suppliers, Stockholder, Traders, Wholesaler, Dealer, Distributor, Importer & Exporter, Fabricator, Stockist of ASTM B564 200 / 201 Flanges in Nickel Alloy.